also the ability of the performers - full marks!" painting, expressive chromaticisms and dissonance." superb musicianship on display shows Lotti in the best possible light." sensibility of Lotti's almost cinematic perspectives with graphic immediacy." 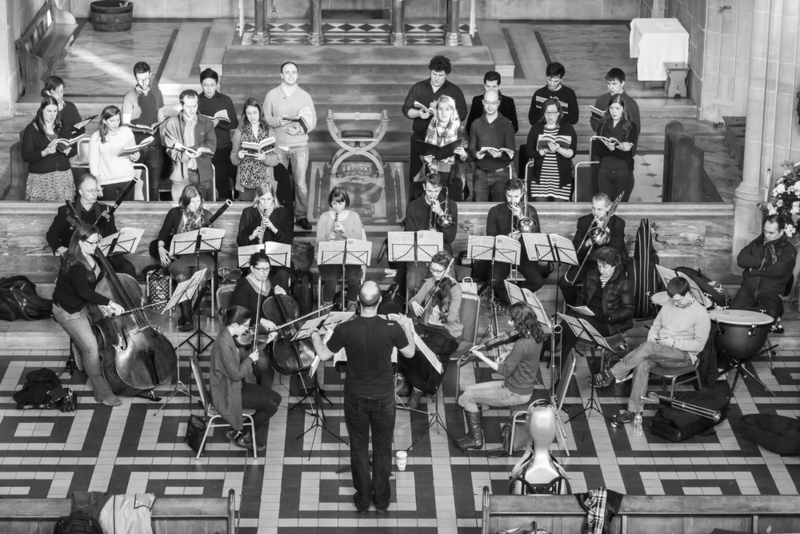 The Syred Consort is a hand-picked chamber choir bringing together some of the finest young professional singers in London under the direction of conductor Ben Palmer. Founded in 2007, the Consort's repertoire is diverse, ranging from the Renaissance to the present day, often featuring soloists drawn from within the choir. The Consort's critically-acclaimed debut CD (on the Delphian label), featuring previously unrecorded music by Antonio Lotti, including the work from which the famous eight-part 'Crucifixus' is drawn, the Missa Sancti Christophori, was chosen as BBC Radio 3's 'Disc of the Week' on Record Review, entered the Specialist Classical Chart at No. 2, and was chosen as one of Presto Classical's Top Ten discs of 2016. The Consort has toured programmes of Antonio Lotti and Bach Motets, and given acclaimed performances of Messiah in London and throughout the UK. Past seasons have included a cycle of J. S. Bach's four great choral-orchestral works, staged productions of Dido and Aeneas and Ravel's L'enfant et les sortilèges, music by Duruflé, Gesualdo, MacMillan, Mendelssohn, Stravinsky and Tallis, Berlioz's Messe solennelle, Handel's Israel in Egypt, and world premières by Graham Ross and Malcolm Hayes. In addition to several performances at the English Music Festival, the Consort has sung in such notable venues as Southbank Centre's Queen Elizabeth Hall, St John's Smith Square, St Martin-in-the-Fields and, under the direction of Tim Brown, King's College Chapel, Cambridge. 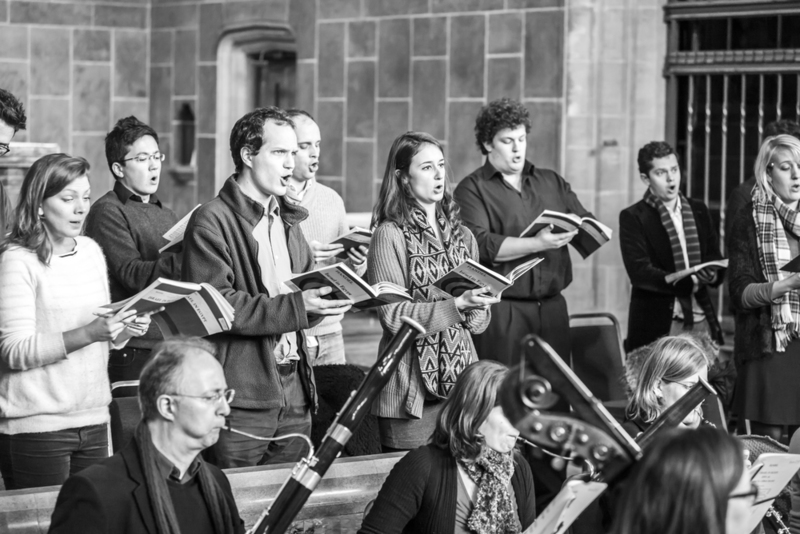 The choir collaborates regularly with Covent Garden Sinfonia (formerly the Orchestra of St Paul's), and occasionally with its sister ensemble, the Syred Sinfonia. The Syred Consort remains hugely indebted to its sponsor, Richard Syred, from whom the choir takes its name. Despite a hugely prolific output spanning a career of more than 50 years, Antonio Lotti is known almost exclusively for his eight-part setting of the 'Crucifixus'. It is not widely known that that motet is in fact part of a complete Credo setting, itself part of the Missa Sancti Christophori that receives its first recording here. From the 2017/18 season, Ben Palmer is Chief Conductor of the Deutsche Philharmonie Merck. In February 2017 he celebrated ten years as Artistic Director of Covent Garden Sinfonia (formerly the Orchestra of St Paul's), which, under his leadership, has established itself as one of London’s most dynamic and versatile chamber orchestras. Acclaimed for his innovative and imaginative programming, he is in great demand as a guest conductor, both in the UK and abroad. He has made a speciality of conducting films live to screen, with performances of Psycho, Casablanca, Charlie Chaplin’s The Gold Rush, Neil Brand’s score for Hitchcock’s The Lodger, Peter and the Wolf, The Battle of the Somme, and The Snowman, in venues including the Royal Festival Hall, the Queen Elizabeth Hall, Cadogan Hall and the Roundhouse. Recent and future film with orchestra projects include The Gold Rush with the London Mozart Players, Home Alone with Royal Northern Sinfonia, The Snowman with Southbank Sinfonia and the Orchestra of Welsh National Opera, E.T. the Extra-Terrestrial with Covent Garden Sinfonia in the Royal Festival Hall, a triple bill of Chaplin Mutual Comedies at the Proms at St Jude’s, and Fritz Lang’s Metropolis. Recent guest conducting engagements include the BBC Singers, Aurora Orchestra, the Royal Philharmonic Concert Orchestra, the London Mozart Players, Southern Sinfonia, the Deutsches Kammerorchester Berlin, the Orquestra Clássica do Sul, the Kazakh State Chamber Orchestra “Academy of Soloists”, the Kharkov Philharmonic Orchestra, and Oxford University Orchestra. As well as conducting his own concerts with the Royal College of Music Philharmonic and the period-instrument RCM Classical Orchestra, he is frequently invited to prepare the RCM Symphony Orchestra for conductors such as Bernard Haitink, Sir Roger Norrington, Jac van Steen, Maxim Vengarov, John Wilson and Thomas Zehetmair. He has worked closely with Norrington since 2011, acting as his assistant conductor for concerts, tours and recordings, and at the BBC Proms. Other orchestras he has conducted include the Gabrieli Consort & Players and Wroclaw Baroque Orchestra (whilst acting as assistant to Paul McCreesh), Birmingham Contemporary Music Group, and Britten Sinfonia. His recordings include music by Antonio Lotti with chamber choir The Syred Consort on the Delphian label (selected as BBC Radio 3 Record Review’s ‘Disc of the Week’, and chosen as one of Presto Classical’s Top Ten CDs of 2016), a disc of music for strings (premiere recordings of Elgar, Malcolm Arnold and Robert Simpson), the DVD/Blu-ray recording of Neil Brand’s score for Hitchcock’s The Lodger for The Criterion Collection, and a recording of his own work, Bach Dreams, with the Deutsches Kammerorchester Berlin on the Neue Meister label.